The work of award-winning journalist Suzanne Ma has appeared in numerous publications including The Wall Street Journal, Bloomberg Businessweek, the Associated Press, The Huffington Post, and Salon, among others. Meet Me in Venice is Ma's first book. 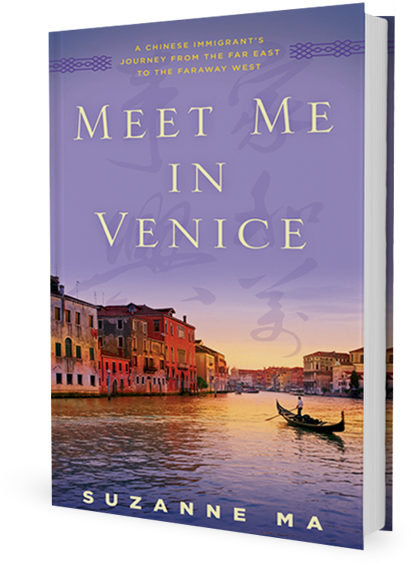 On March 9, 2015, 2pm, at the Dr. Sun Yat-Sen Classical Chinese Garden, celebrate the launch of "Meet Me in Venice" by Suzanne Ma. The book was a five year project, where Suzanne followed Chinese immigrant workers from China to Italy. It's truly a fascinating story about a rather untouched subject.